From elegant to casual, nothing creates character and warmth in a room like an oriental rug. This is why interior designers are taught to design a room “from the ground up”. If you think oriental rugs are dark and formal, expect a very pleasant surprise! Tibetan rugs are woven on the “roof of the world”, the Himalayan mountains. Due to the severe climate, the sheep develop resilient, thick coats. 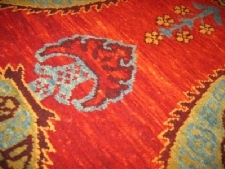 Tibetan rugs combine the softest wool in the world with the uniquely ribbed texture of the Tibetan weave. Whether the designs are casual or contemporary, the result is sensational– to the eyes… and the toes. The beauty of these pieces lies in their simple, spontaneous designs and vibrant colors. Most are woven with wool that is carded and spun by hand then dyed naturally with roots and herbs. 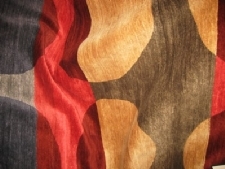 Because of this, given colors show delightful variance throughout the rug, called abrash. 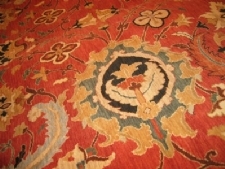 Click here to see our rugs!